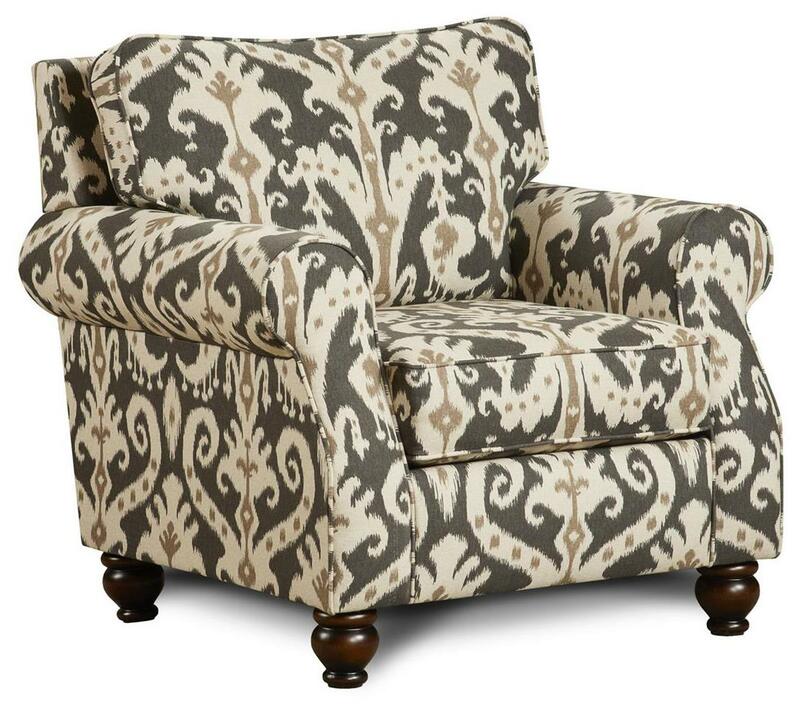 Set back rolled arms and turned wood feet add transitional elegance to this accent chair. Its pattern adds visual interest to your home. Turned wood feet, plush cushions with a loose T-back cushion and reversible box seat cushion keep you cozy as you relax in this chair. Add it to your living room, bedroom, or home office for stylish seating wherever you need it. The 652 Chair with Rolled Arms and Turned Feet at Belfort Furniture in the Washington DC, Northern Virginia, Maryland and Fairfax VA area. Product availability may vary. Contact us for the most current availability on this product.